I see this medical ad for Otezla once in a while. Wonder if anyone recognizes where it is? it's a former MoPac line. Verified with Google Street view. Very good. How did you know? Nice find, thanks for putting that up. Amazing how much time, money and people it takes to shoot a scene that only lasts a few seconds on the tv commercial. 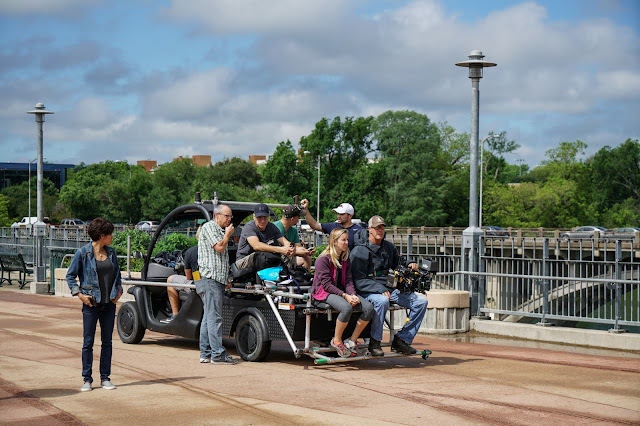 Curious your picture I re posted here shows the crew on sort of a dolly shot at ground level. 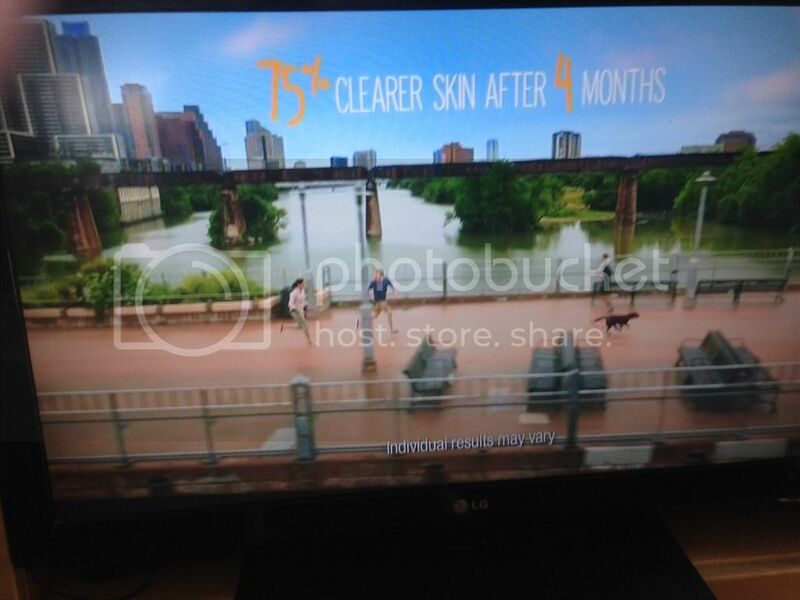 The commercial has an elevated shot possibly taken from the adjacent highway bridge. All very interesting. EDIT: I just saw the tv spot again tonight. There are two shots at ground level moving in front of the actors, lasting a second or so each.